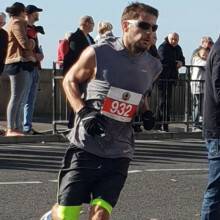 A local dad is pounding the pavements training for this year’s Virgin Money London Marathon to raise £9,000 for The Sick Children’s Trust. He has already pledged £4,000 to the charity. 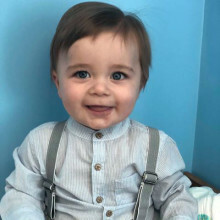 Susan Beeby, whose son required emergency lifesaving treatment after he was born seriously ill, will be running the Virgin Money London Marathon to raise money for The Sick Children’s Trust. 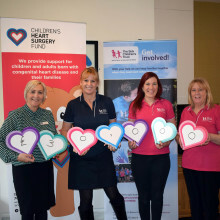 As part of a three-year £90,000 grant, Children's Heart Surgery Fund has donated £30,000 to Eckersley House to support more families with seriously ill children in hospital. If it wasn’t for Eckersley House, our hospital experience would’ve felt so different. For families like ours to have somewhere as comforting and convenient as Eckersley House to stay is a godsend when you have a seriously ill child in hospital. I had only just started to look pregnant when my baby girl arrived 106 days early. 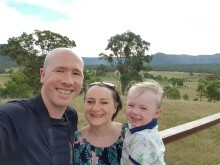 After spending four months in hospital we finally took Sophia home in December and have just celebrated her turning six months old. Will and Vicky Simpson stayed with us at Stevenson House after Sophia was born at 24 weeks gestation weighing just 1lb 10oz. 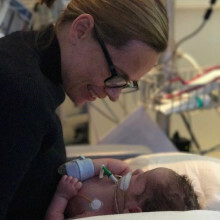 She overcame many challenges during the initial few weeks of her life and was transferred to Broomfield Hospital, closer to home, at just eight weeks old. Miraculously her parents took her home for the first time in December and she has just celebrate turning six months old. 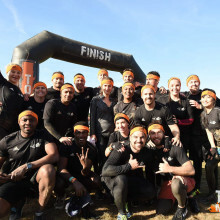 Online Casino Affiliate programme Buffalo Partners have raised a monumental £33,800 for The Sick Children’s Trust after 15 employees took on a ten mile ‘Tough Mudder’ obstacle course at Holmbush Farm Estate in West Sussex last year. 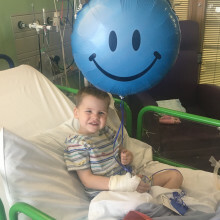 Daniel Roche, whose five year old son required emergency lifesaving treatment shortly after he was born, will be running the Brighton Marathon and then the Virgin Money London Marathon two weeks later in April to raise money for The Sick Children’s Trust. 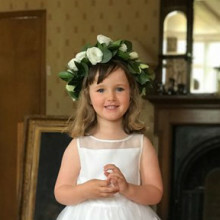 The friends and family of three year old Sophie Pokorny who tragically passed away last summer have raised over £20,000 for The Sick Children’s Trust in her memory after a huge fundraising drive. 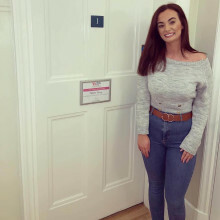 Sophie's parents, Karl and Abbie, were supported in Rainbow House whilst she waited for a donor heart to become available in Great Ormond Street Hospital. 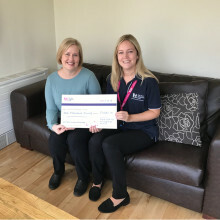 Mum Kelly is on a fundraising mission to raise money for The Sick Children's Trust after we supported her at our 'Home from Home' Chestnut House when her daughter was born seriously ill.
Skyswood Primary School shared their Christmas Wishes with us as part of our Christmas appeal. read the article and watch the video to find out more. 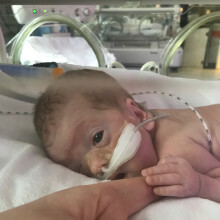 After a very long labour baby Leo suffered from a pneumothorax when he took his first breath. He required lifesaving treatment at The Rosie Hospital, an hour away from the family's home. 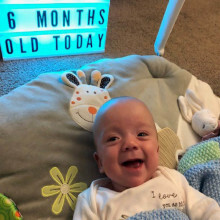 His parents and older brother, Jenson, stayed in Chestnut House for five days whilst he recovered and Leo made it home when he was 12 days old. He turned one year old in May this year. 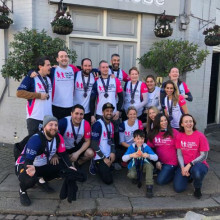 A group of friends who have already raised over £12,000 are taking on the adidas Fulham 10km city run to raise even more money for The Sick Children’s Trust in memory of three year old Sophie Pokorny who tragically passed away at the end of the summer. 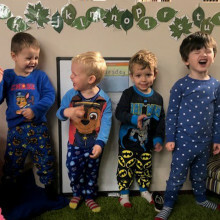 Children at Pumpkin Pie Childcare took part in our annual fundraiser, Pyjama Party, and raised over £200! Find out all about their Pyjama Party here. ​I remember the first night I stayed in Stevenson House I hardly slept. Knowing Isla was so close was comforting and I wanted to be with her all the time, but I also knew I needed to rest so I could be strong for my baby. 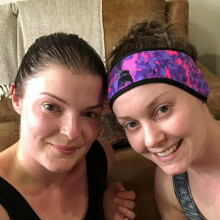 Ashley went into labour just 24 weeks into her pregnancy and was rushed to her local hospital. Unable to stop the labour, doctors delivered twin girls, Esme and Isla. 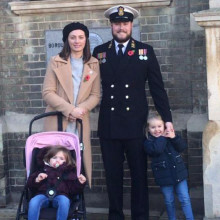 Tragically, Esme was stillborn, but Isla had a faint heartbeat and was rushed up to the neonatal intensive care unit before being transferred over to London a few hours later for lifesaving treatment.